High-net-worth clients want to talk about their philanthropy with their advisors. Advisors need to be able to move beyond the transactional conversation and into a deeper one that helps their clients create charitable giving strategies that achieve real impact. 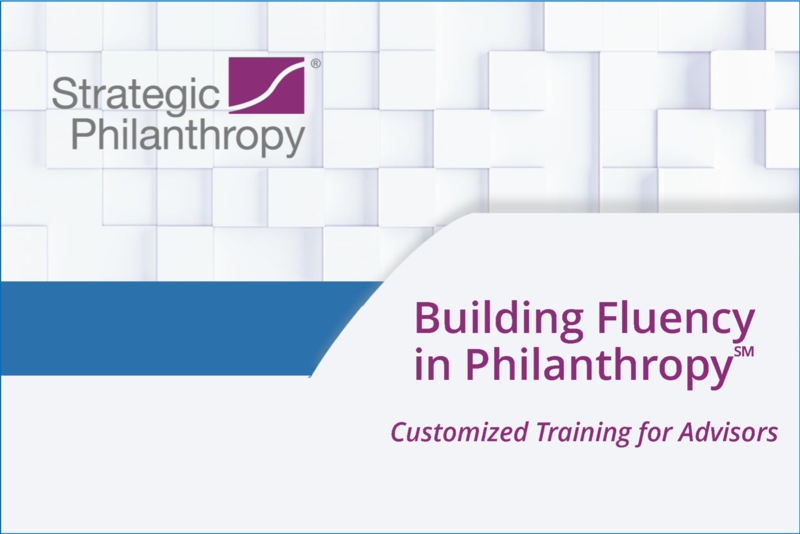 Building Fluency in Philanthropy℠ is designed to provide advisors with the tools and information they need to talk to clients about their interests, their passions, their legacy, and what they want to accomplish with their charitable dollars. It is a customized, interactive program. Click here to learn more about this exciting and valuable new offering from Strategic Philanthropy, Ltd.